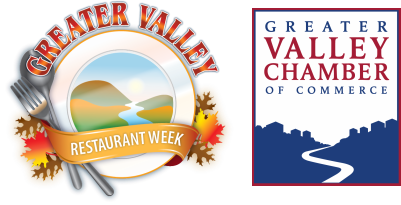 Celebrating 8 years of Greater Valley Restaurant Week! The Valley Just Got Tastier! The Naugatuck River Valley is bursting with flavorful restaurants. ​We invite you to check them out and dine with us during the 8th Annual Greater Valley Restaurant Week with a twist! Congratulations to the Winners of the Restaurant Hunt! Serving the Connecticut Communities of Ansonia, Beacon Falls, Derby, Oxford, Seymour & Shelton.